Week 31 bumpdate, a bit of homework to do this week! I actually feel like I have lots to update for my week 31 bumpdate! I had my 31 week midwife appointment yesterday and I always feel great after as I get to hear little mans heartbeat, find out what position he’s laying in and also get the answers to any personal questions twitter just can’t answer for me! I also feel like my weekly bumpdate’s are a little more interesting as I have more to update than what I get told on the apps and how I’m feeling at the time. Ok so in my 28 week bumpdate I mentioned that there was a lovely student midwife present at my appointment. Now she was so nice (her name was Jess so she had to be) and I don’t want to be mean at all but where she had to try everything first the whole app took double the time, plus she kind of vampired my arm – I won’t go into detail, check out my week 28 bumpdate to read about it. Anyway, she was there again, and I was kind of glad that the main midwife took charge and just did everything herself! No offence Jess! Exercise ball – I do a mixture of sitting upright on the ball and kind of bouncing and rolling while watching TV. I also sit up on my knees and lean my belly on the ball and again do some rolling motions. Cat crawl – The midwife literally said ‘every two hours get on the floor and crawl like a cat’. So I do a little routine of arching my back and holding for a few seconds, then hollowing my back and again holding for about 10 seconds. I repeat this about 5 times and then do a routine of ‘trying to see my tail’ a kind of hip wiggle which actually feels really great on my lower back! Model pose – This one makes me feel even more silly then the cat crawl but it’s as simple as sitting backwards on a chair so that the back of the chair is in-between your legs. I sit for as long as I can without getting too bored! I do need to use a cushion as my only chairs with backs are wooden and hard so can become a little uncomfortable. Heartbeat – It was tricky to get his heartbeat again this week due to his awkward position but once the midwife found it, it was nice and strong! My blood test results from my last appointment came back and showed that my iron levels are low. The midwife prescribed me with iron tablets that I picked up today, although she said that they can take 8 weeks to work. Being due in just just under 9 weeks this seems a bit pointless but she did say that I’ll need it for labour when I could lose a bit of blood, and of course once Rabbit is here I’ll need to be in tip top health! I also went and bought lots of green veg like spinach and broccoli to give myself an iron boost through my diet. Bump size – A perfectly neat little bump, 31cm’s at 31 weeks! Pelvic floor – So here’s where my telling off came into play. Midwife ‘You need to do them several times a day. Do you want to pee yourself all the time when you reach 60?’ – That’s in a stern voice btw! Me ‘Ok just checking as sometimes I miss a day’ – That was a complete lie, I’ve not started pelvic floors, until today of course, and even now I’ll do 4 or 5 squeezes and get bored! So that’s my homework, catch up on my pelvic floors, take my iron tablets twice a day and get this baby flipped round! Everything is going great this week for me and little Rabbit! My mum is coming round tomorrow to get some more done in the nursery, I can’t wait to give you guys a preview ones a bit more is done! Feeling very positive and motivated, hopefully it’ll last the rest of the week! 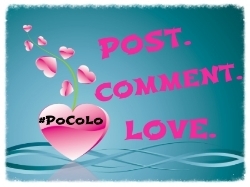 I added this post to the #SoCoLo linky, why not add yours too! What a lovely neat bump you have! I was way more sprawling, even though I was just bump by the end! Thankyou lovely 🙂 I still have 8 weeks to go so I’m sure I’ll balloon out! I’m excited to get into hypnotherapy, did you do classes or download a cd? Uh oh…. Pelvic floor?!?! No one told me about this!!!!!!! Best get squeezing!!!!! I always forgot about my pelvic floor exercises until I got to bed and then had to do a few there. 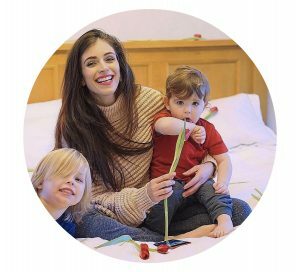 Hi I’m Jess, a parenting, lifestyle and travel blogger. I write about all things minimalism, mum life, fitness and travel with a heap of positivity!